In wrapping up my first year of this ‘here online journal, I decided to re-blog the following – from my own ‘sister’ blog, SoulHorseRide. In a way it’s fitting. 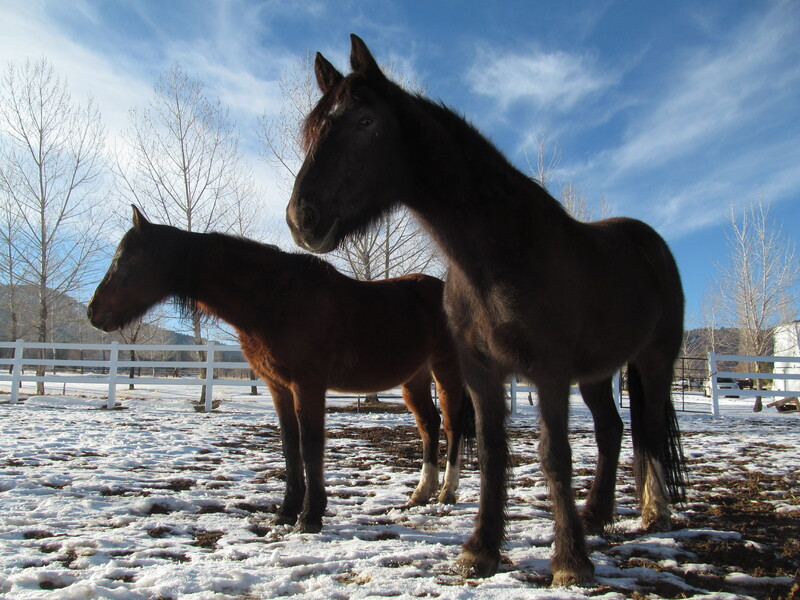 Because this Prayer utilizes the Strategies I learned from my Personal Yoda (see: The Assignment: Guide to Greater Happiness) to solve the problem at hand – feeding and caring for my horses in a down economy. Some of you already follow SoulHorseRide. Others might not know it exists. But please check out this other aspect of my world. Happy New Year to all! Keep the Faith. Keep using the Strategies. And above all, keep singing Praises for all the good we truly have! As I reflect on my lifelong love – and commitment – to horses, I remember wondering at times: Will I be able to care for them? Feed them? Keep them? Thus far I’ve raised four generations, and at times it’s been absolutely challenging. The economy. The weather. Moves. Marriage. Children. Divorce. Work. Health. I wrote this poem with heart-felt angst after the economy dropped – going into winter’s snow and cold – December 2008. At that time I truly didn’t know how things would work out. Times got tough. We tightened our belts. Our family had to work long and hard. Yet our horses continued to be well-fed and cared for. And I consider that one of the Major Miracles of my life! I believe God hears our cries – and also our praises. I believe we’re tasked with the job of praise! So Horsemen, keep the faith going into winter this year . . .
Keep him warm from cold. And what ‘ere he needs to have. For entrusting him to my care. My horse is always there. And follow where ‘ere I go. As one who doth adore. For he’s my constant blessing from You. And fulfilled his earthly goal.